We’ll admit there are a few perks to working at Cycling Weekly, and that includes testing the new Sportful R&D bib tights. They provide outstanding warmth and comfort, but we’re glad we weren’t shelling out for them. These bibtights are part of the winter collection from the R&D range which aims “to push the boundaries of conventional cycling clothing design…to create the ultimate clothing.” We’re not sure how revolutionary these bibtights are, but the warmth they offer is second to none. At the heart of the Sportful R&B bibtights is the ThermoDrytex Double fabric which features a nylon outer, and a brushed fleece polyester inner which was enough to keep our tester warm even on long rides with the temperature hovering just below freezing. Sportful has also used a slightly different material at the knees which includes more lycra, enabling it to stretch with each pedal revolution without opening any small holes to let the cold air in. This excellent thermal protection was no surprise given the performance of other Sportful tights such as the Bodyfit Pro bibtights we tested last year. Comfort-wise there’s also plenty to write home about. As you’d expect from these premium bibtights, the seat pad is Sportful’s top-of-the-range Total Comfort Pro model. This features multi-density foam which provides outstanding support and comfort without adding too much bulk that could get in the way of your pedaling action. The slender seat pad provides an impressive level of posterior support, and the end result was that these bibtights have become our bottom half of choice on long winter rides. The mesh straps are also orientated towards comfort, sharing a design with Sportful’s Total Comfort bibtights, which unsurprisingly focus on comfort, rather than the Bodyfit Pro bibtights used by the Alberto Contador and co. at Tinkoff-Saxo. The straps are nice and wide to make sure they don’t dig into your shoulders while still managing to hold the tights firmly in place – and you can’t ask for much more than that. 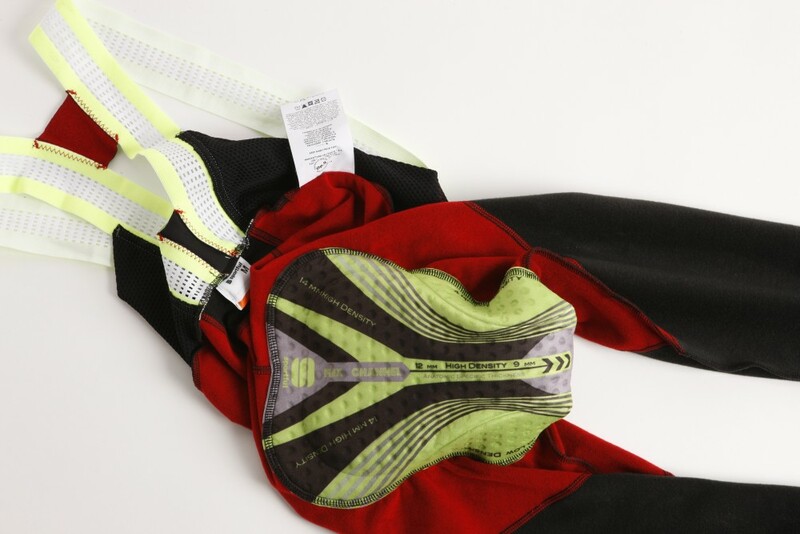 Other neat little touches include the ankle zips placed at the rear of the hem which make these bibtights easy to get on and off and stop you hopping round the living room, while never proving an annoyance and nipping away at the back of your ankle, and the silicon grippers also around the ankle, which keep the bottom of these tights firmly in place – both features we’d expect from a top-end pair of tights. 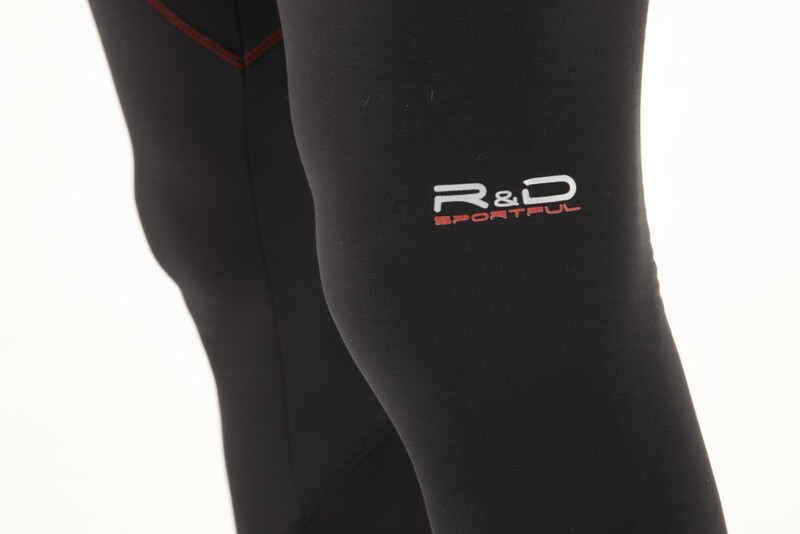 The only sticking point with the Sportful R&D bibtights is the £120 price. This is a very competitive price point, and there are a lot of excellent tights out there, but at the end the performance can barely be faulted. For more information visit the Sportful website. The Sportful R&D bib tights are an excellent piece of clothing which will keep you warm and comfortable through the long, cold winter miles. The £120 price-tag may seem steep, but there’s no denying the quality of this investment.